Last August and part of September, I traveled through the US with the CommRadio CR-1 and a couple of portable antennas: the Par Electronics EF-SWL and NASA PA-30. I had the opportunity to try both in the field, and took notes as I used them. Following is a short review of the Par Electronics EF-SWL. At the Dayton Hamvention last year, I had the pleasure of speaking with representatives of the North Carolina-based LNR Precision Inc. LNR is a mom-and-pop company with a focus on providing antennas, keys, and transceivers for the ham radio and shortwave listener markets. Indeed I have several SWL friends who use on a daily basis an antenna this company manufactures and retails: the Par Electronics EF-SWL. LNR asked if I would consider reviewing their antenna, and since I was planning a road trip with radios in tow–the perfect opportunity to test such an antenna–I agreed. The Par Electronics EF-SWL is an end-fed shortwave antenna designed for 1-30 MHz reception. It’s a receive only-antenna–perfect for the SWL. The radiator is 45 feet of #14 black polyethylene coated Flex-Weave wire. When I first used the EF-SWL, I noted the quality of its construction: no doubt it can withstand many deployments in all weather conditions–and it’s manufactured here in the US. With a 45′ radiator, the EF-SWL needs a little space, but offers more gain than the other portable antenna I packed, the NASA PA-30 (look for its review in the near future). I put the EF-SWL to use in New Mexico where several large trees were readily available. I hooked the EF-SWL up to the CommRadio CR-1 and simply hung the end of the radiator as high as I could in a nearby tree. Though not a picture-perfect installation, it nonetheless certainly did the trick! I didn’t bother with a ground connection as I wasn’t in an area with much radio noise (RFI). In the past, when setting up portable ham radio and shortwave listening, I’ve typically built my own antenna either for the specific meter band I hoped to use, or brought along a portable antenna tuner. It was quite nice having an antenna designed to be resonant on the broadcast bands. Though I didn’t do this, I did noticed that the EF-SWL’s radiator is attached via a stainless stud–Par Electronics did this so you can remove the radiator and replace it with a different wire length. With the stock 45′ radiator, I still find the EF-SWL quite portable, especially when compared with most of the portable amateur radio antennas I use, which tend to take a dipole or delta loop configuration. After returning from my trip, I decided to hook up the EF-SWL at my home base for longer-term evaluation. These past months I’ve had it on the air as an auxiliary antenna, and I’ve been impressed with its performance. In truth, it’s not in an optimal location hanging off the corner of my house, but I think this may actually represent with some accuracy the installation most SWLs will likewise be able to provide–in other words, placement that must factor in antenna restrictions or limited space. Of course, for any permanent installation, you will need to ground the EF-SWL for lower noise reception. And yet, even in these suboptimal conditions, the antenna performs remarkably well. As with any exterior antenna, of course, take precautions against lightening if you live in an area with thunder storms. If nothing else, at least disconnect the antenna when not in use. Moving forward, I will plan to relocate the EF-SWL to a more ideal permanent location and most likely purchase another to keep in my antenna bag. I hope to use this antenna in a DXpedition I’ve planned later this year. The EF-SWL retails for $75 US directly from LNR Pecision or $72 US from Universal Radio. 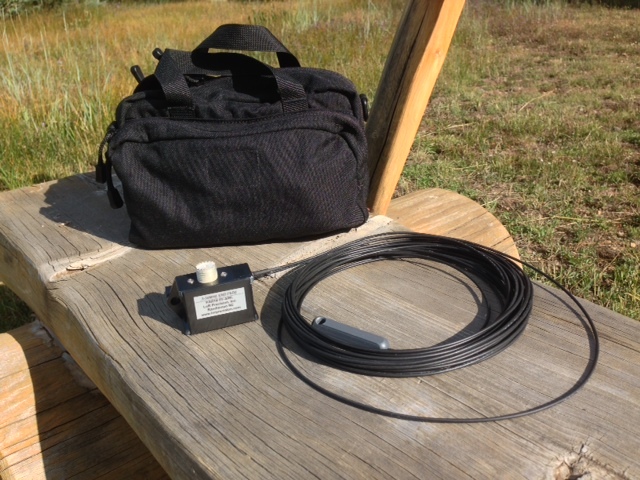 Note that LNR also sells a number of QRP field-portable transceivers: the LD-5, FX-4a and Mountain Topper. Click here for more details. 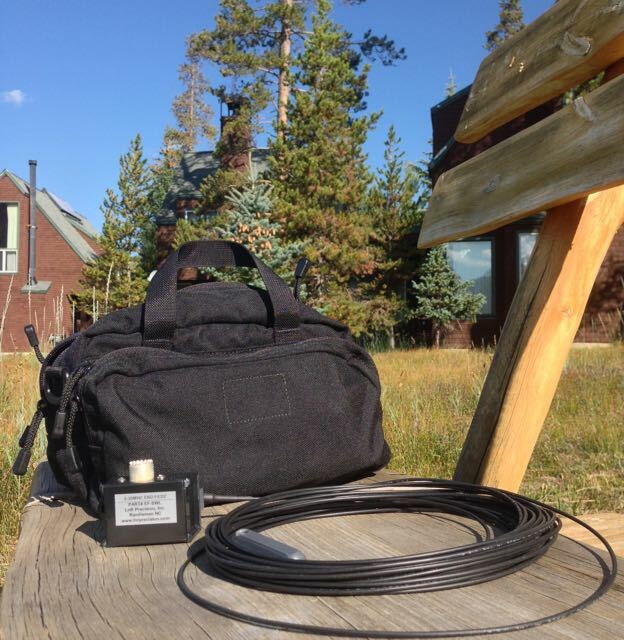 This entry was posted in Antennas, News, Reviews, Shortwave Radio, Travel and tagged LNR Precision, Par Electronics EF-SWL, Par Electronics EF-SWL Review, Portable Shortwave, Spec-Ops, Spec-Ops All purpose bag, Travel on April 3, 2015 by Thomas. I’ve had one of these in use for a few years now. In fact I bought mine back when Dale Parfitt (W4OP) was selling them from his website at Par Electronics. It is indeed everything that people says it is, and I can’t say anything but good stuff about such a simple and basic antenna that simply works, and works well. I too have the PAR-EF SWL. I find the reception to be a great improvement over a 75 foot random wire in the attic at home. The problem is it does not roll and unroll without tending to entangle itself from bends or kinks that form in the wire. I find it hard, therefore to take it out and later store it away . Any recommendations on how to end the problem, so I can use it for its portability? The easiest thing I’ve found though are good plastic cable reels–they do a better job keeping the line from kinking. Thanks, for the information. I will look into it further to see how it works out for me. These work quite well, too (Duck decoy cord/Paracord rope line organizer). Do you ever post a review of the other antenna? I am looking a buy one soon and would like to hear your option of both the Par Electronics EF-SWL and NASA PA-30. Thanks for the reminder, Keith! That poor review is buried in my drafts folder–completely forgotten. Let me dig it out and give it a dusting (editing!). Coming soon. Yes, I too would definitely like to see that EF-SWL vs. NASA PA-30 comparison (or simply a PA-30 review). I have the latter and with a 43 of 43 eham.net perfect review score for the EF-SWL, I will likely purchase that as my next SWL Dx antenna. Do you have any comparisons between the PAR antenna and say, a Wellbrook loop-type antenna? It would be interesting to hear a comparison or two. Perhaps other readers have both antennas and could run a test and post some results. Have you used any kind of pre-amp with the PAR, and if so, was their any significant improvement? I have two Pars SWL antennas. One I use as a sloper, the other is attached to a 42 foot vertical pole. Both antennas due well for SW DXing although I have not used one yet as a portable on a DX trip. It is well built and sturdy. They were both worth the price. I use this exact antenna for all of my shortwave listening. I find it to be the perfect compromise of size versus performance. I even use a splitter to share the signal between my JRC NRD 545 and an Icom R75. If you check my YouTube channel you will find many reception examples. I have no regrets with this antenna – really well constructed too.